With a bang, a whimper, or medium-rare with ketchup? 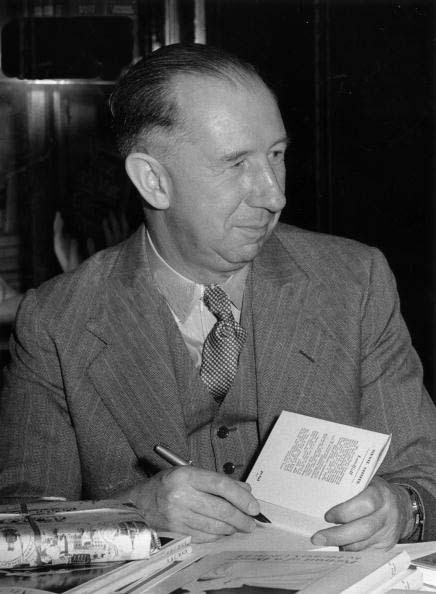 I first read On the Beach, Nevil Shute’s end-of-the-world novel, as a freshman in high school. 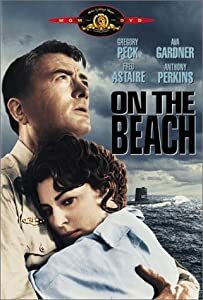 I’d already seen the movie, starring Gregory Peck as the U.S. submarine captain and Ava Gardner as the woman who falls in love with him, so the book seemed, well, anticlimactic. By 1968, after the Cuban missile crisis and years of air-raid drills, the possibility of nuclear annihilation was part of our psyche. You just lived with it. Shute, a successful aeronautical engineer and prolific writer who emigrated from England to Australia after serving in the Royal Navy during World War II, published On the Beach in 1957. It was not the first but was certainly the most popular work of fiction to warn of nuclear holocaust. Other novels and films quickly followed. From A Canticle for Leibowitz (1960) and Fail-Safe (1962) to Dr. Strangelove (1964), artists used speculative drama and satire to address a fear that was all too real. In Shute’s version of the end, the Northern Hemisphere has destroyed itself after “the Irresponsibles”—small nations with a handful of nuclear bombs—draw the nuclear superpowers into a third world war. Now the winds are gradually carrying cobalt radiation to the south, and the main characters, who live in Melbourne, Australia, face imminent death. 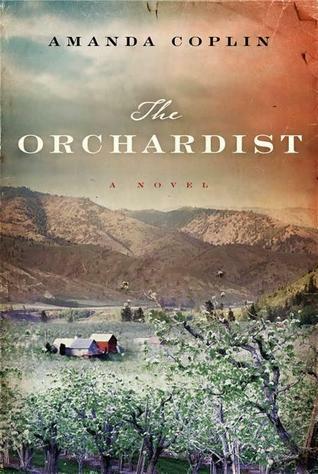 The way Shute’s characters behave as they wait for the end seemed improbable to my freshman mind. Sure, some overindulge with alcohol, but most either live in a state of conscious denial, pretending the end isn’t coming in order to preserve life’s routines, or they fearlessly attempt what they had only dreamed of doing before. For the six months remaining to them, people go about their jobs, plant gardens for the following year, and take courses to improve their career prospects. When the end does come, most retire to their beds and swallow a little white pill dispensed by a well-prepared government. 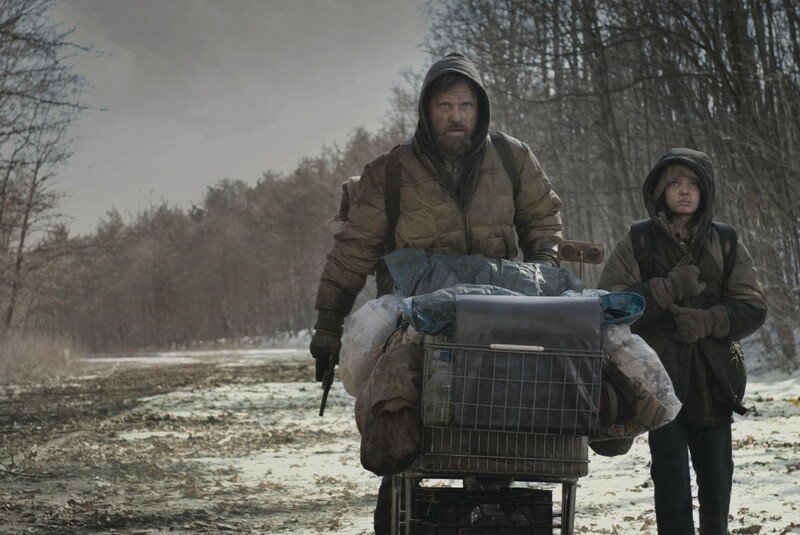 Compare that scenario with Cormac McCarthy’s savage end in The Road (2006). There, an unexplained event has launched the planet into nuclear winter. The few survivors must grub for food and defend themselves from robbers and cannibals even as they escape the encroaching cold, gradually sicken from radiation poisoning and die. When mankind’s end comes, I suspect McCarthy’s is the more likely scenario. Nevertheless, Shute, despite serving in both world wars, maintained a great faith in ordinary human decency, even in situations of extreme stress. In A Town Like Alice, his characters survive a torturous wartime captivity in Malaya by protecting and caring for one another. In Pastoral, his RAF pilots and WAAFs put their duties and comrades before their personal lives. In Shute’s world, decency is the outer projection of human dignity, and kindness is at the core of his own brand of existentialism. I had dismissed On the Beach as a time capsule that lost its vigor with the end of the Cold War. Yet, when I reread it recently, I came away with a new appreciation. How might the world end? I asked myself. There seem more ways now than ever. How would people behave? More to the point, how would I behave if I knew I had only six months to live?… And then it struck me—the book has a metaphorical significance I’d overlooked as a high-school freshman. For who isn’t facing the end? “On the beach,” it turns out, is not only an allusion to T. S. Eliot’s “The Hollow Men” but Royal Navy slang for retirement from the service. This year I have the good fortune to turn sixty. Like other baby-boomers I am heading (slowly, I hope) toward my own time on the beach. I’ve seen friends before me deal with this eventuality in different ways. Some have remained in denial (60 is the new 40!). Others have made breathless lists of places to go and things to do (seize the day!). A few have already confronted the approaching drift of death. Hmm, now where have I seen such behaviors described before? The big question lying within Shute’s book remains as pertinent as ever. When our time comes, as it must, will we face our demise with the bravery, civility and consideration that his characters do? I hope so; it sure beats cannibals. Gething: Thank you for agreeing to this interview. Semicolon: The pleasure’s all mine; thank you for having me. Gething: My interest is in the controversy you have stirred in the literary world. Semicolon: I’ve done no such thing; those who don’t use me seem to be causing all the fuss. Gething: That’s my point. Many modern writers, in particular Cormac McCarthy in his interview with Oprah, have called for your extinction. What did you do to create such a virulent reaction? Semicolon: Ask Mr. McCarthy; to my knowledge I did nothing. Gething: But you must have done something. He’s not calling for the elimination of the period or the question mark, or even the colon in certain instances. Semicolon: No, he seems to have targeted me in particular…and the exclamation mark; I don’t know what we did to deserve such enmity. My purpose seems quite clear—to connect two or more independent clauses more closely than ones separated by a period. I believe there’s still a place for that in the world. Gething: You do have some supporters, only—let’s be honest—not too many users today. Semicolon: Not true! A very lucid writer recently defended me in the New York Times. Semicolon: That’s a gross exaggeration. Henry James adored me; incidentally, many consider him the paradigm of subtlety; he was certainly more subtle than that Vonnegut fellow. Gething: Yes, but there is a modern sentiment that long sentences connected by semicolons obscure rather than make thoughts clearer. I sometimes feel that way about Henry James. Modern writers—journalists, novelists, poets—they tend to shun you. Semicolon: Well, what do you expect from poets? Gething: What do you mean? 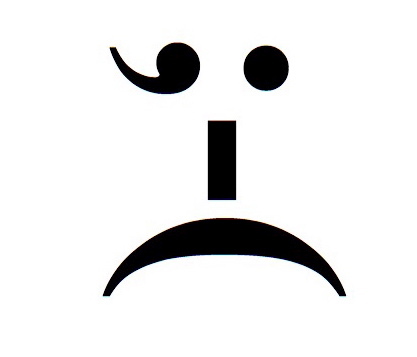 Semicolon: They are barbarians; they hardly use any punctuation at all. Gething: Doesn’t that suggest that meaning can be received without punctuation? Its absence might even create interesting double meanings. Semicolon: You mean vagueness and ambiguity. Perhaps that’s modern, too. Gething: McCarthy says, if you write clearly you don’t need more than a few punctuation marks. Semicolon: Then why use any at all? Why not write so clearly that periods and commas can be avoided as well? Isn’t punctuation simply a convention to help the reader comprehend the writer’s meaning? What if you presented these words without punctuation? A few awkward spots but I might get used to it with practice. Semicolon: I suppose you’ll be calling for the elimination of capital letters next. Semicolon: I am bitter. I feel angry; I feel hurt; I feel betrayed. In speech we use pauses and intonation to convey meaning. Why can’t we rely on perfectly acceptable conventions of punctuation, including the semicolon, for the printed word? Gething: You make a good case, but it seems convention is dictated by usage not by argument. I fear for your longevity. Gething: You know, my sister quit dating a guy who used semicolons; she said he never knew when to stop. Gething: Just trying to make you feel better. Semicolon: Then start by using me more; only please, don’t abuse me! Don’t get me wrong. I love Cormac McCarthy’s work. One of my favorite books is The Crossing, and Blood Meridian is an American classic. But in 2005 after I rushed out to buy No Country for Old Men, I couldn’t help it. Reading the crotchety sheriff’s monologue at the end, I felt–how shall I put this–somewhat victimized. I felt a parody growing in my brain, so I excised it by putting it down on paper. What do they say, imitation is the greatest form of flattery? You decide. It’s now available as a free download on my Sample page.